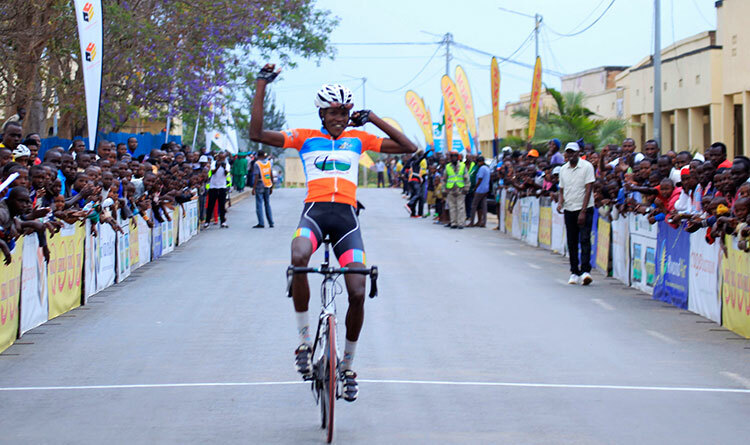 Tour of Eritrea runner - up Jean Claude Uwizeye won the Farmer’s Circuit on Saturday beating breakaway companions Patrick Byukusenge and Camera Hakuzimana with well executed sprint. 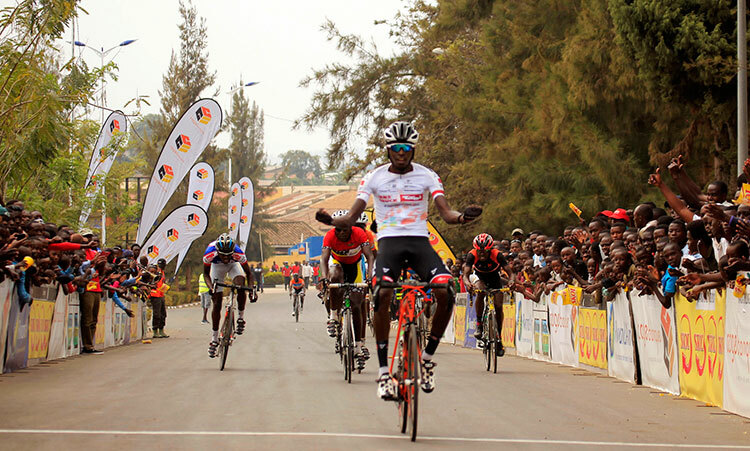 The Club Amis Sportifs rider, who was racing for the first time since his impressive podium finish at the Tour of Eritrea last month, continued his rich vein of form to win in the 152km one-day race,the second on the 2017 Rwanda Cycling Cup calendar. 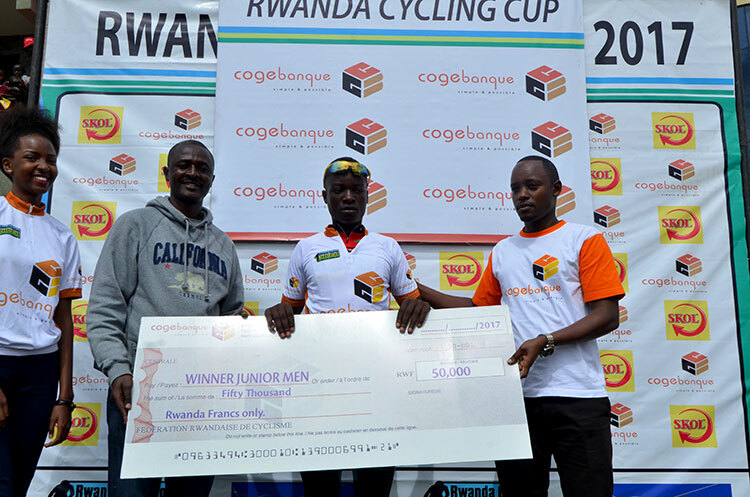 Jean Claude was part of a five-man group that escaped after the day’s initial breakaway was caught. 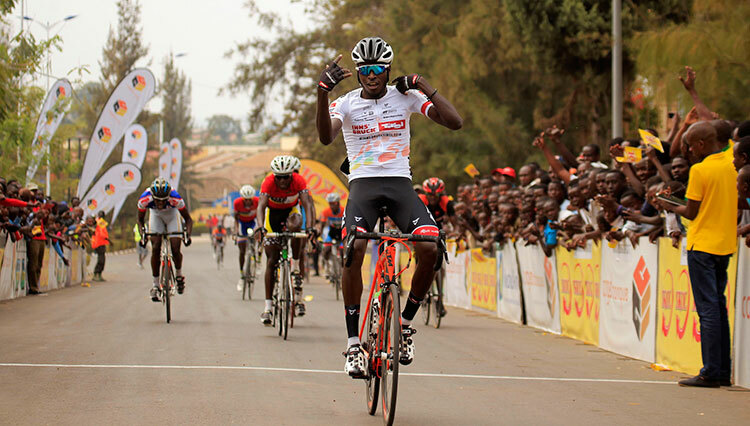 “I am very happy for my win today.The stage was flat and we knew it was going to be a sprint finish.I knew it was not going to be easy as I am not a natural sprinter but I still had legs in the final kilometer and decided to go for the win.” said Jean Claude. 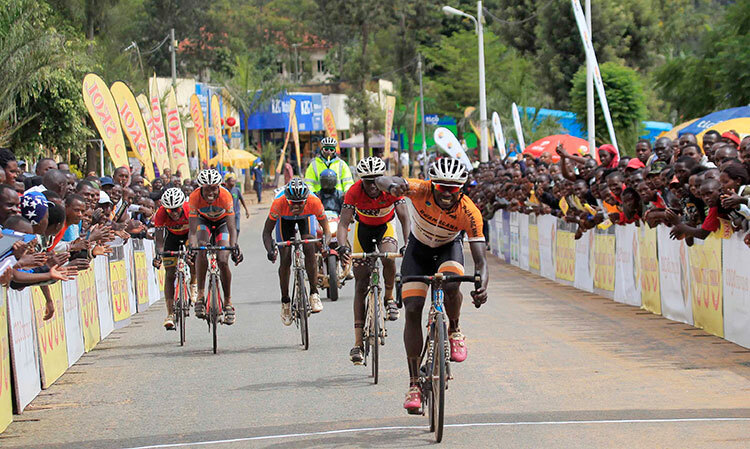 In the women category, Jeanne d’Arc Girubuntu was once again the fastest in the 88km race which started in Kayonza while Jimmy Mbarushimana. 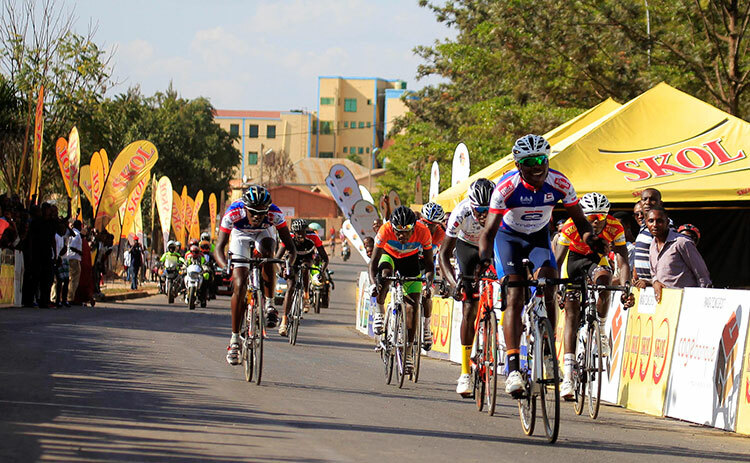 The 2017 Rwanda Cycling Cup series continues with Race To Remember on a hilly and challenging route from Ruhango to Karongi on May 20. 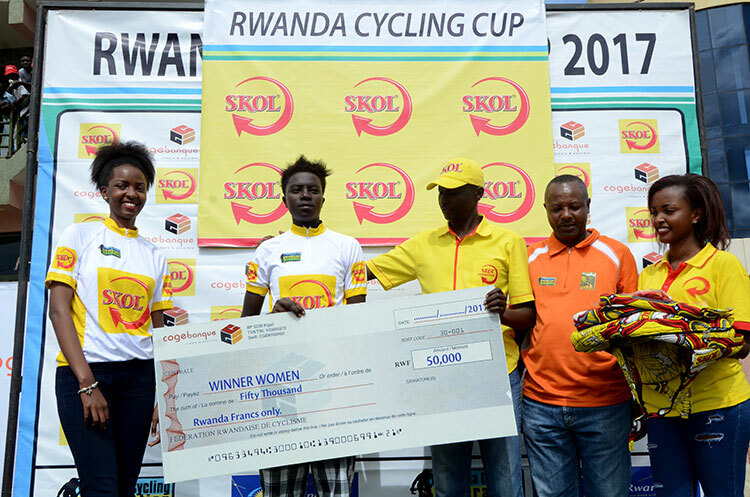 The RCC is jointly sponsored by Skol Rwanda and who continue their commitment the development of Rwandan cycling by renewing for another year the sponsorship of the Rwanda Cycling Cup.